What was Hot Cakes founder Autumn Martin thinking when she created Sweet Week, a weeklong celebration of sugary treats? 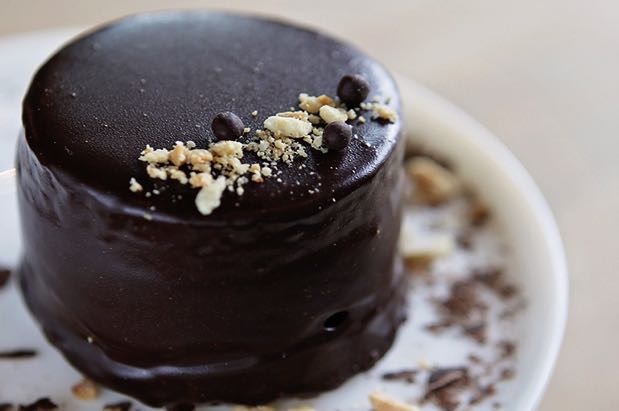 Um, maybe that cupcakes and ice cream and molten chocolate are awesome and make you super happy and that there should be a restaurant week type event devoted to our city's creative pastry chefs, chocolatiers, ice cream makers, bakers and their wildly delicious desserts. Now in its second year, Sweet Week, which runs Sept. 14 to 20, features 20 of the city's best sweet shops offering special $5 desserts or samplers, some of which are not usually on their menus. Here is the complete list and what they'll be serving, if, you know, you want to coordinate your stretchy waistband pants to go with the shop's dessert. Flight of Brown Butter and Salted Caramel drinking chocolates with a salted caramel covered in dark chocolate.